General Body Meeting. Register here! 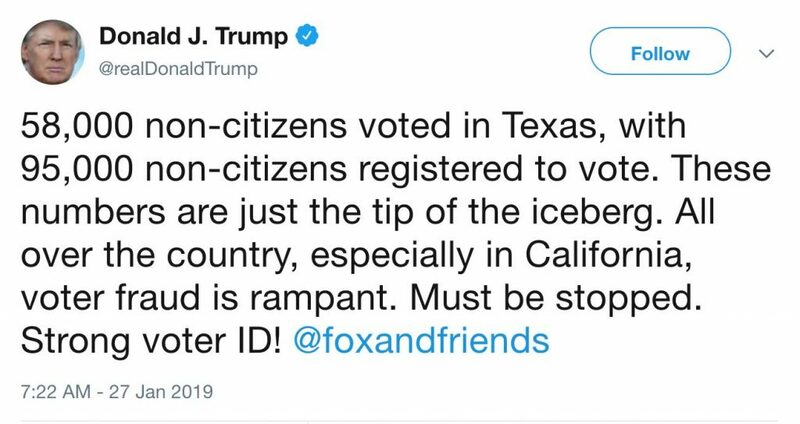 A lot has changed since last week, when the Texas Secretary of State issued an advisory that drove Ken Paxton, Greg Abbott and even Donald Trump into a froth of voter-fraud-conspiracy theorizing. To recap: Texas officials flagged 95,000 voters for citizenship reviews. Now their entire case appears to be falling apart. The vast majority of people on the list likely registered to vote after becoming naturalized citizens. But unless the SOS rescinds the advisory, every county in Texas is expected to commit resources to checking the citizenship status of people on the list. Some counties have already sent out letters. This is a tremendous waste, considering that in Florida, where the same methodology was used, only 0.0005% of the cases proved actionable. A coalition of groups including Texas Civil Right Project, ACLU Foundation of Texas, Jolt Texas, and Workers Defense Action Fund issued a letter calling on SOS David Whitley to rescind the advisory. “The Advisory explains that you compiled this list of potential non-citizens by relying on documents that Texans submitted to DPS “indicating the person is not a citizen of the United States at the time the person obtained a Driver License or Personal Identification Card” (emphasis added). Using such a data set to review the current citizenship status of anyone is inherently flawed because it fails to account for individuals who became naturalized citizens and registered to vote at any point after having obtained their driver license or personal identification card. Call the Elections Division at the Secretary of State’s office at (512) 463-5650 or 1-800-252-8683. You can also fax at (512) 475-2811. Here are additional contacts in case you can’t get through. You can also report fraud on the State Auditor’s website. Why not! Start planning for a national day of action on Monday, February 11. We’re calling on Indivisibles across the country to mobilize before Congress votes on any deal from the conference committee. Call your members of Congress EVERY. SINGLE. DAY. We need every office, including the Democrats, to hear from activists demanding they keep the government open without $1 more for Trump’s racist border wall. Click here to call now. Stay tuned for updates on what we’re hearing from the Hill. Keep checking our shutdown resource — we’ll post updates as we know more about the conference committee and the possibility of a national emergency declaration. Things are still a bit quiet at the #txlege. The legislative calendar is a little bit arcane, making the first month of the session quiet. But things are starting to heat up, and soon our lawmakers will be holding hearings on hundreds of pieces of legislation. Here’s a quick reminder of the committees our area House and Senate members sit on. The big upcoming hearings this week are in the Senate Finance committee. Our area Senator Kirk Watson is a member of Senate Finance. Starting on Monday, Feb. 4, Senate Finance will start hearings on various parts of the budget organized by Articles of the General Appropriations Act (here’s the 1,000-page GAA aka budget for 2018-2019). These hearings include both invited testimony — given by individuals, agencies, advocates, etc. that the committee invites — and public testimony, which anyone can give, provided they have three minutes and potentially unlimited time to wait around or 40 copies of written testimony to leave behind. While all parts of the budget are significant, we want to call particular attention to the hearings Tuesday and Wednesday on Health and Human Services (including Medicaid, mental health, children’s health, maternal health and mortality, and more). You can watch the hearings live online at this link, and you can watched past hearings here. Keep an eye out for the governor’s State of the State which is happening on Tuesday, Feb. 5 in theory. We saw an announcement about it last week, but have seen nothing since. 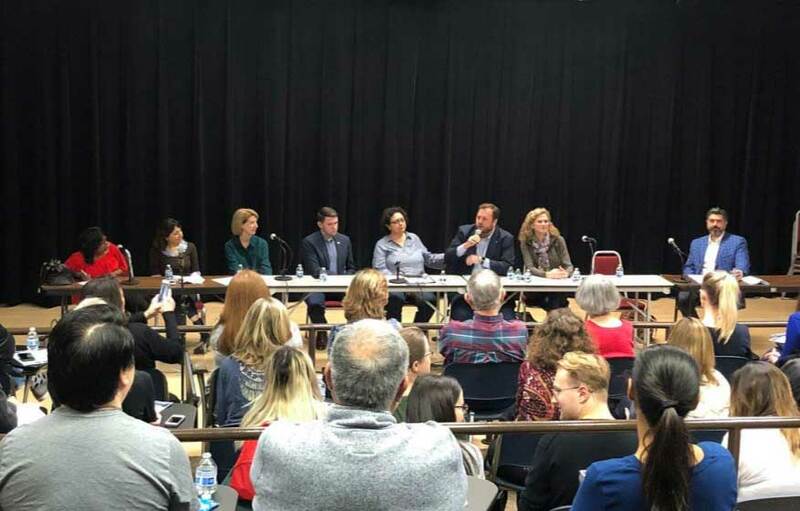 We’ll end with a shout out to the Central Texas House delegation who held not one but TWO community town halls on Saturday. We are lucky to have a delegation committed to engaging with and building relationships with their constituents. Every member in this delegation has expressed a genuine willingness to meet with their constituents, so take them up on it whenever you have the chance. We’re gearing up for grassroots at the lege. Get involved! Rep. Lloyd Doggett was on CNN last week and made clear there would be no wall money in any agreement with Trump. He also went after Trump’s lax attitude toward Russian aggression and laid out a plan to get Trump’s taxes through the Ways and Means committee, where Doggett is a senior member. Thursday, Feb. 7, 7:30 to 9:30 a.m.
Join The Texas Tribune in person or via livestream for a conversation with new Texas state Reps. Rhetta Bowers, Jessica Gonzalez and James Talarico, moderated by Texas Tribune co-founder and CEO Evan Smith. Studio 919 at The Texas Tribune, 919 Congress Ave. Sixth Floor. 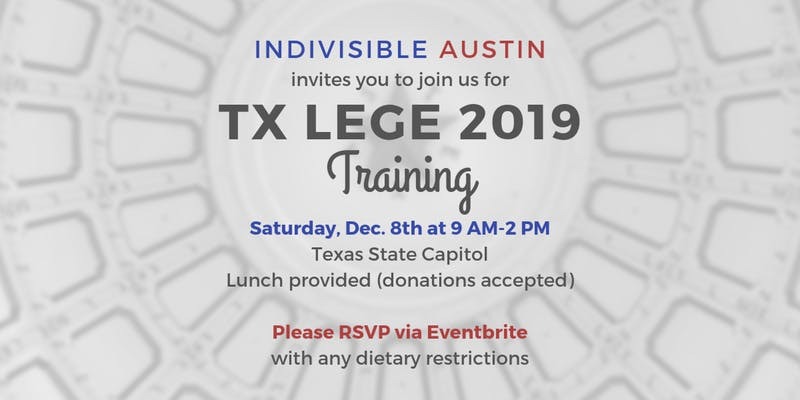 Saturday, Feb. 9, 10:30 to 11:30 a.m.
Did you learn a lot at our Indivisible #TXLege Training in December but still aren’t sure what you can do to get our legislators to listen to us and pass or block bills? Then join us Tuesday of next week for our second ever General Body Meeting Tuesday. We will build off of our #TXLege training to equip you with the knowledge and skills necessary to walk into any legislator’s office and actually change our state’s laws! Snacks will be provided. Location TBD but likely Central Austin. Take Action Newsletter: End the shutdown; free a detained Afghan interpreter; Austin Women’s Rally; Fire John Cornyn! TXLEGE is in session! Download our guide! That is the message our senators are telling President Trump over the stupid, unworkable border wall. Cruz and Cornyn joined the president last week in McAllen, and pretended that they hadn’t just spent two years fully in control of the government. Instead they now blame Democrats for failing to fund “border security.” This is all such a sham that it’s hard to even write about. But people are suffering and it’s important to make our voices heard. You can also write a letter to the editor about the shutdown. An Afghan interpreter—who assisted U.S. troops—and his family were detained at Houston’s George Bush airport and threatened with deportation. The given reason was that they had opened an envelope of paperwork that was supposed to remain sealed. The interpreter’s family has been released, but he remains in custody, and all of the privileges afforded their refugee status—including their visas—have been revoked. 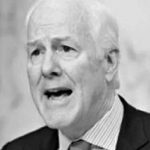 If Sen. Cornyn is serious about his support for Afghan interpreters, he should join Reps. Al Green, Sheila Jackson Lee, Joaquin Castro, and Lloyd Doggett to intervene and correct this injustice. This story developed over the weekend and may have changed by the time you read this. Follow RAICES on Twitter or Facebook for the latest. HR 339 has 30 cosponsors (none from Central Texas, though!) and should proceed to a vote. This letter from Sen. Chris van Hollen (D-MD) has some good language to borrow when you call. 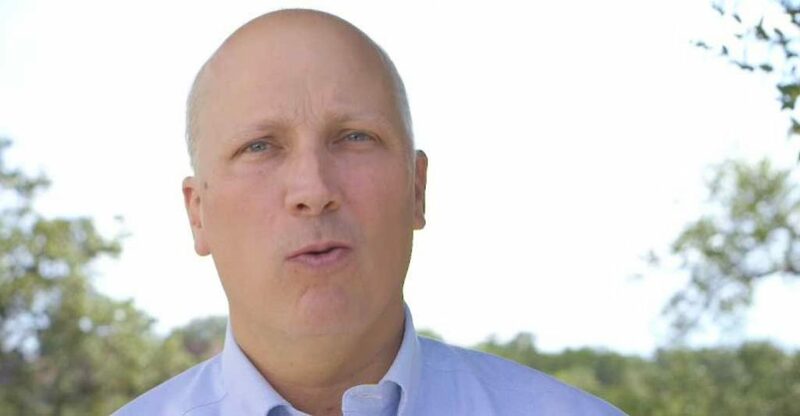 Rep. Chip Roy was one of one of only seven Republicans who voted No on providing back pay to furloughed government workers. Introduced legislation to require background checks on all gun sales. 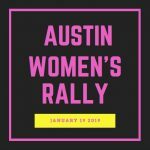 Indivisible Austin will have a table at the annual Austin Women’s Rally, which takes place at the Capitol from 2 to 5 p.m. This rally is for the general public to gather in support for women, in their fight for equality and equity. This rally is an expansion upon the annual Texas Reproductive Rights Rally, as it coincides with the date of that event. 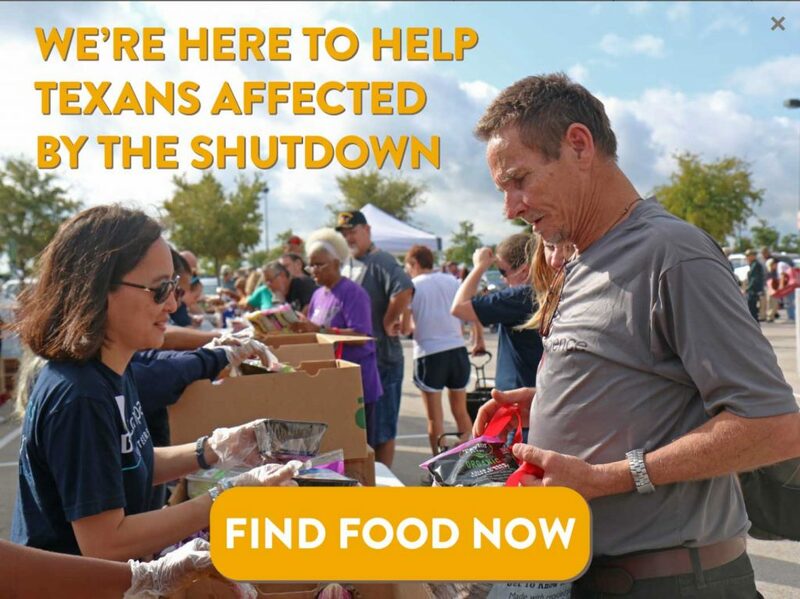 Posted in Weekly NewsletterLeave a Comment on Take Action Newsletter: End the shutdown; free a detained Afghan interpreter; Austin Women’s Rally; Fire John Cornyn! Both John Cornyn and Ted Cruz are on the Senate Judiciary Committee, where fellow committee member Diane Feinstein has called for a hearing after two children died in the custody of Customs and Border Protection. It seems Big John, who took $1.6 million from the oil & gas industry in 2018, just doesn’t feel like climate change is much of a priority. The editorial board of the Houston Chronicle published this brutal take-down of John Cornyn’s sudden adoption of climate-change denialism. 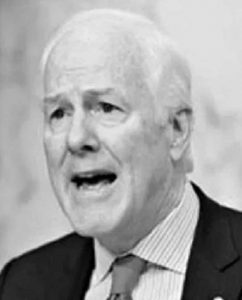 (Read our analysis over at senatorjohncornyn.com—and be sure to share it with him on social media; he’s unusually thin-skinned there.) Give him a call and let him know you support the Green New Deal, and expect him to get onboard or be voted out of office. Meanwhile, you can thank Rep. Lloyd Doggett for supporting the deal. Call your House rep and tell them to support HR1, the landmark bill that would expand voting rights, curb gerrymandering, bolster ethics rules, and revamp how campaigns are funded. The Democratic-led House introduced this bill last week, partially in response to hundreds of grassroots groups rallying for its support. Protecting democracy is nonpartisan—tell your GOP rep to get onboard! Join newly minted Central Texas reps for their swearing in ceremonies! The House gallery opens at 10:30 am and is open to the public on a first come, first serve basis. The ceremony begins at noon. Overflow rooms are available. You can also visit staff offices, where receptions will be held both before and after the swearings-in. Rep. John Bucy: Reception in E2.028 before and after the ceremony. Office unveiling in E2.312. 6 to 9 p.m. Join Austin Tech Alliance, Glasshouse Policy and Leadership Austin for an evening of policy education. Capital Factory. 701 Brazos Street. 1st floor/Voltron room. Action Spotlight: Whose House? Our House! 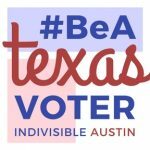 Props to Indivisible TX25 East Austin and all of the local candidates and activists who participated! 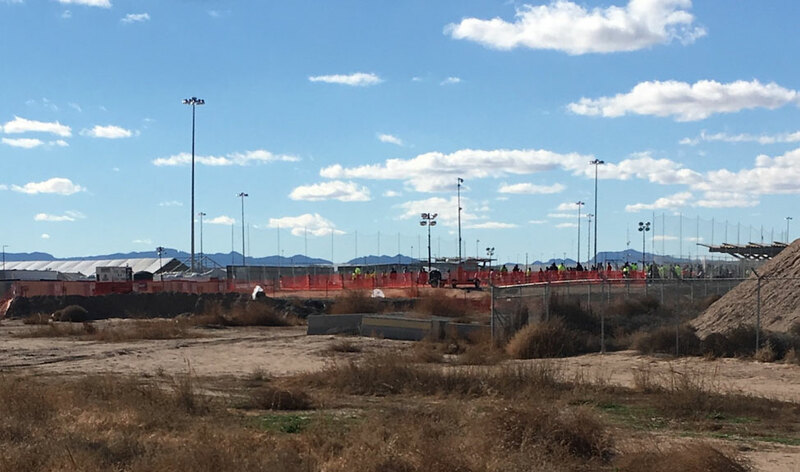 Read more in this post from TX10 Indivisible about spending Christmas in Tornillo—and how you can help the children detained at the West Texas Detention Facility. In this letter, our friends at ADAPT of Texas call out Greg Abbott and Ken Paxton for their attempted dismantling of the Affordable Care Act. They specifically highlight two areas of the ACA that currently have a direct positive effect on people with disabilities of all ages: pre-existing conditions protections, and community long-term services and supports. Read and share this letter on social media. Make sure Paxton and Abbott see it! Whose House? Our House. Join the January 3 Day of Action. 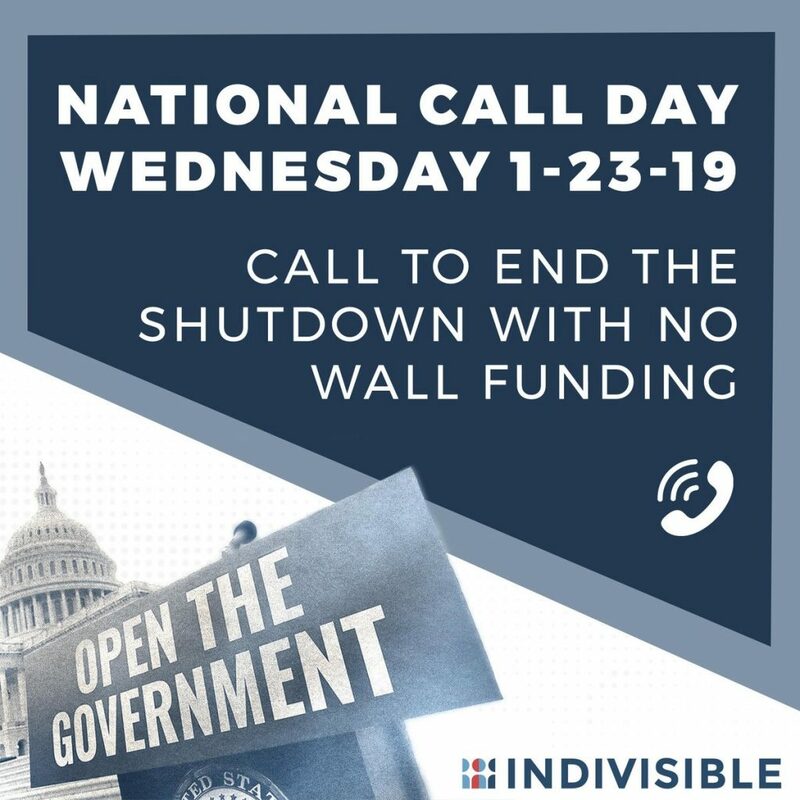 On January 3rd, Indivisible groups will organize across the country at the offices of their members of Congress, calling for their strong support for the democracy reform bill that Democrats are expected to introduce that day. (H.R. 1). WHEN: Thursday, January 3, from 4-5:30 p.m.
It’s a new Congress — Voting rights, ethics, and the undue influence of big money in campaigns are high on our list. We want you, our representative, to strengthen our voting laws to include online voter registration, to end gerrymandering, and to restore the Voting Rights Act. We want you to require that all political organizations disclose their donors. We are here, we are watching and we will hold you accountable. 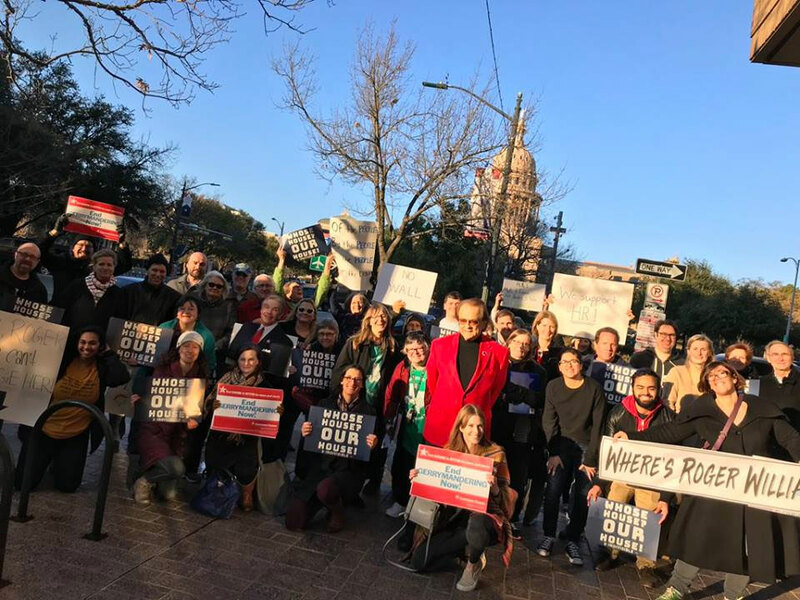 Austin Justice Coalition hosts a day of action at OUR Texas State Capitol. It’s a day of solidarity, a day of accountability, as we tell our elected officials what we want to see come out of this legislative session. A gift to Indivisible Austin, large or small, helps us continue to do this work. As we move into 2019, we’ll be focused on the 86th session of the Texas Legislature as well as the new session of Congress. It’s an exciting time as we build on the wins that our collective efforts as a progressive movement made in 2018. On Flores! On Chip! 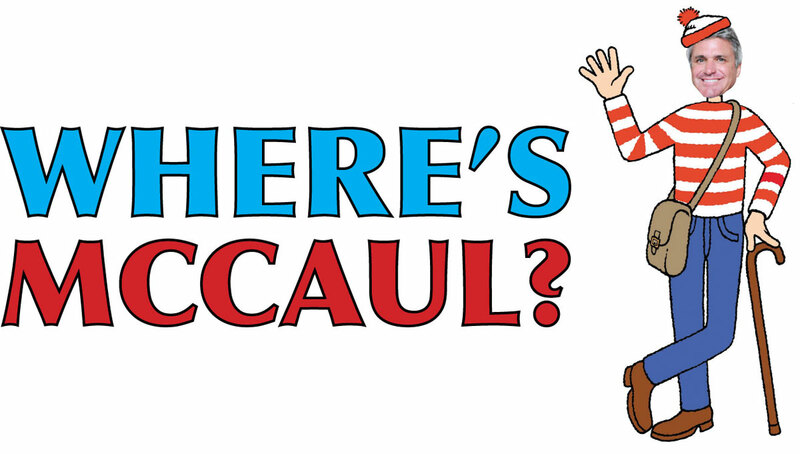 On Williams and McCaul! On Carter! And Cornyn! Dash away all! Activists from all over the country are holding vigil in Tornillo this Christmas, and we’ll be reporting on their efforts next week. Support them through organizations like RAICES and the Texas Civil Rights Project. 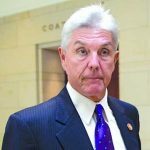 That’s what Rep. Roger Williams told reporters when asked about temporarily funding the government while the debate continues over Trump’s stupid wall. 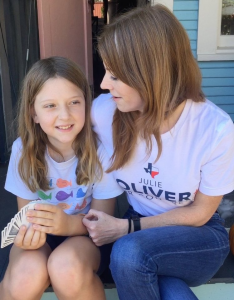 I traveled thousands of miles in #TX25. No one I spoke to (R or D) wanted this wall — built on Texans’ private land, seized by the federal govt, paid for with taxpayer money, at a time of record border security. Quick note: The ACA still stands, but… What’s Paxton’s plan if he kills the Affordable Care Act? 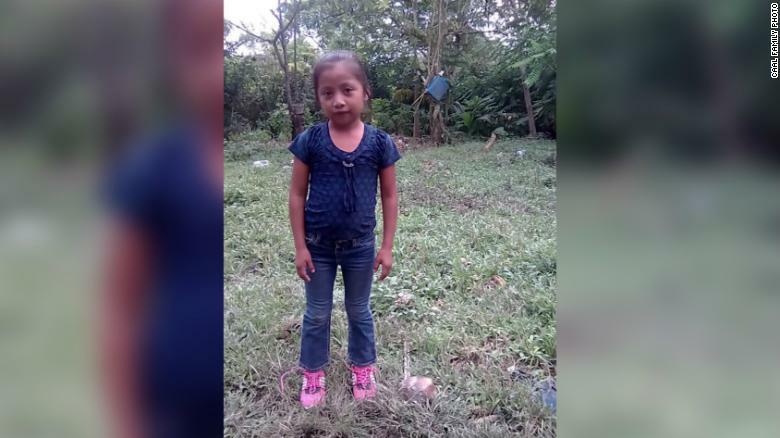 The death of 7-year-old girl Jakelin Amei Rosmery Caal Maquin in Border Patrol custody and the poor treatment of families in CBP detention are unacceptable. Children like Jakelin desperately come here after escaping unimaginable violence and tragedy. 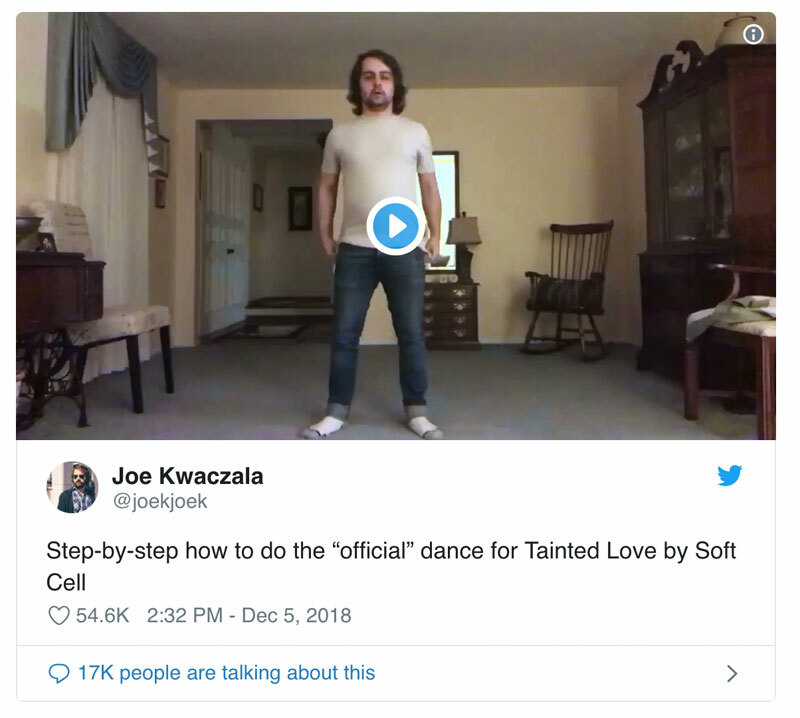 We are better than this. America is better than this. As your constituent, I urge you to immediately call for an independent and rigorous investigation into how this tragedy happened and to identify reforms to CBP needed to prevent any mistreatment and separation of families. The new Congress should hold public hearings in January. In the House, however, Speaker Paul Ryan hid in the Farm Bill a provision to end House debate on Yemen. Rep. Lloyd Doggett is calling BS on this and needs your support. Read Rep. Doggett’s statement or watch the video below, and then call your GOP House reps to demand action on Yemen. The House needs to follow the Senate’s lead to rebuke the White House’s claim that its activities in Yemen are not subject to the War Powers Act, and that the Saudi regime bears no responsibility for the death of journalist Jamal Khashoggi. “(Judiciary) Members could have (and should have) pressed Pichai about misinformation and radicalization on YouTube (Google owns the video-sharing site). “Crucial questions about his company’s morphing relationship with China went unasked. 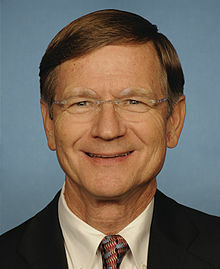 Rep. Lamar Smith, you and your willful ignorance will not be missed. Jan. 3: Save the date: Whose House? Our House! If you are interested in joining or organizing an event, contact us. A court ruling against the ACA, morally abominable treatment of migrant children, the erosion of voting rights and the power of voters: in Texas and across the nation Republican leaders are attacking human rights and the basic principles of democracy. Rise up, with Indivisible Austin, to meet these challenges. After you’ve taken this week’s actions, take it one step further, and support Indivisible Austin today. With you, we can help even more people raise their voices. Last weekend, it was standing-room only at our first TXLEGE Training at the state capitol. Thanks to all who came out in the cold and rain. We’ll do another one very soon! We also released a brand-new Indivisible guide, specifically for advocacy in the Texas Legislature. It’s free! For those who didn’t vote early, Election Day is Tuesday, December 11. At last check, only 3% of Travis County had voted. Also worth noting that we vote in the Texas primaries in just 15 months! 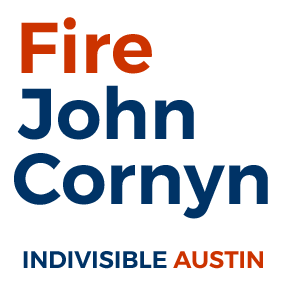 We’re trying something new over at senatorjohncornyn.com. With good reason, we mostly ignore Trump’s tweets—after all, Indivisible was founded on holding Congress accountable, not on the president’s weaponizing of social media. But… John Cornyn and most of the GOP also ignore Trump’s tweets, which creates an unspoken agreement to pretend that the president isn’t lying, bullying, and confessing to crimes on Twitter. We’re self-gaslighting. 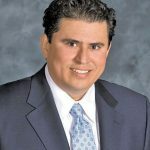 Texas Secretary of State Rolando Pablos announced last week that he was stepping down. This position is appointed by the Governor—not elected, as in other states. Rep. Celia Israel issued a letter calling on Gov. Abbott to appoint someone who focus on improving Texas’s election infrastructure. “The vote is the bedrock of our Democracy,” she writes, “if we don’t provide funding for new machines and improved technologies, these machines will fail. Call Abbott’s office at (512) 463-2000 to show your support for Rep. Israel. You can also call your Texas representatives and ask them to join Rep. Israel in calling for the modernization of Texas elections. Texas Coalition to Reduce Gun Violence meeting is Tuesday, December 11 in the Legislative Conference Center at the Capitol room E2.002. The Coalition meeting will be from 3:00 pm to 5:00 pm. There will be snacks! You will not want to miss this pre-session meeting to discuss legislative priorities for Coalition partners and other important topics. The Coalition will also be live-streamed on facebook.com/txgunsense. Please RSVP info@txgunsense.org if you can join us. The midterms are past. We made tremendous gains in protecting democracy and bringing accountability to both Washington and Austin. Now is the time for us to use our power and press the advantages we’ve gained in DC and in our own statehouse. We’re not slowing down. We’re speeding up and doing more: the new Indivisible TXLEGE Guide, our training for more than 200 activists, pressing our representatives to truly represent us, and more organizing. The 2020 primaries are only 15 months away, and we need engage and activate another 250,000 Texans to close the gap. We’re just getting started and we need your support to do it all.